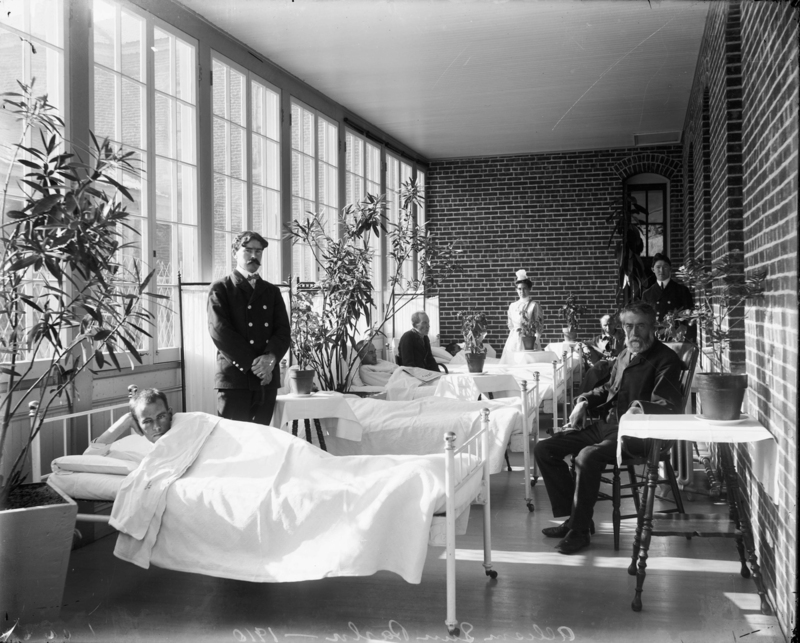 'Architecture Of An Asylum' Profiles St. Elizabeths Hospital, From State Of The Art To Notorious : Shots - Health News Founded in 1855, St. Elizabeths Hospital in Washington, D.C., grew from 250 patients to 8,000. A new exhibit at the National Building Museum explores the links between architecture and mental health. When I moved to Washington, D.C., in 1962, St. Elizabeths Hospital was notorious — a rundown federal facility for the treatment of people with mental illness that was overcrowded and understaffed. 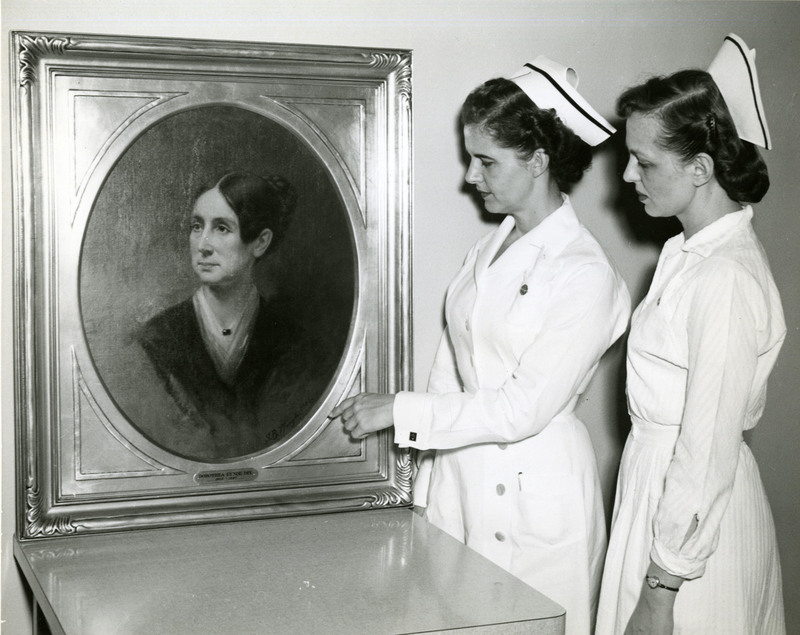 Opened with idealism and hope in 1855, the facility had ballooned from 250 patients to as many as 8,000. Its vast, rolling patch of farmland had fallen into disrepair, too, in the poorest neighborhood in the U.S. capital. St. Elizabeths is now the subject of an exhibition at the National Building Museum; Architecture of an Asylum explores the links between architecture and mental health. Dorothea Dix, the 19th-century reformer who fought for the facility, would have rolled over in her grave to see what St. Elizabeths had become by the 1960s. "She had observed the treatment of the mentally ill in jails and other kinds of alms houses [and] poor houses all over the country," explains exhibit curator Sarah Leavitt. Dix "was really appalled by the treatment that they were getting, and she made it her life's work to change that story." St. Elizabeths nurses in the 1950s study a portrait of Dorothea Lynde Dix, a 19th century social reformer. Dix helped found the treatment facility in the 1850s. Dix lobbied state legislators and Congress and got them to create what was then called The Government Hospital for the Insane. She hand-picked the land on which it was built. And at her small wooden desk — you can see it in the exhibition — Dix outlined her vision. "She really believed that architecture and landscape architecture would really have a role in curing people," Leavitt says. The porches of the 1890s Allison Buildings, shown above in 1910, were later enclosed to provide more space for patient beds. Denise Everson, an architect in the D.C. area who specializes in design and health, says certain elements were considered vital: Natural light and views of the outdoors were thought to help keep patients from feeling "hemmed in," Everson explains. "So that you know you are a part of a larger society." Dix insisted on these elements for her hospital. Leavitt says disgust with the dark cells, barred windows and bone-chilling cold in 19th century jails likely fueled Dix's thinking. "There was this idea that the mentally ill wouldn't notice extreme cold or heat," Leavitt says. "She was really disgusted by that, and really viscerally angry." 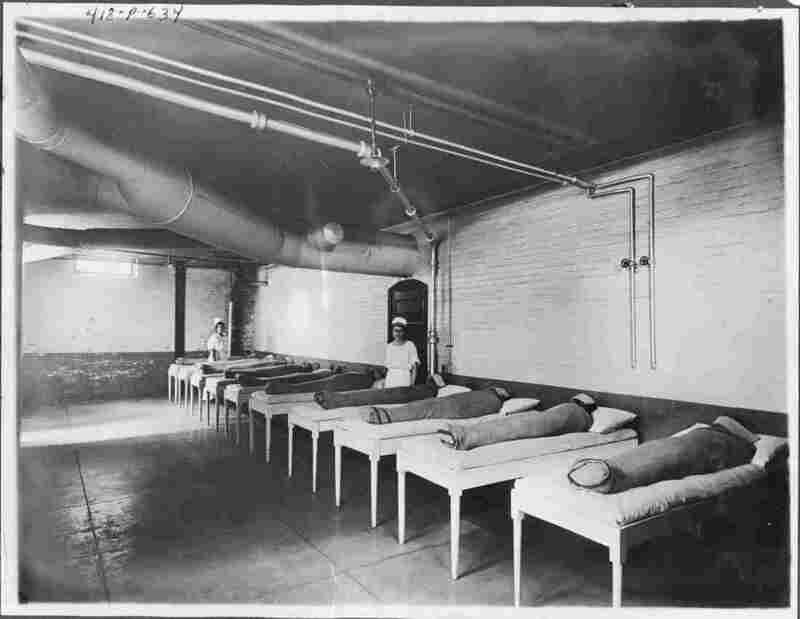 Dix made sure the hospital that became St. Elizabeths in 1916 had heat, tall arched windows and screened sleeping porches where patients could catch summer breezes. Photos, models and floor plans included in the museum exhibit show handsome brick buildings — with towers, high ceilings, open space and river views. In the 1850s, these facilities were available only to white patients, though. 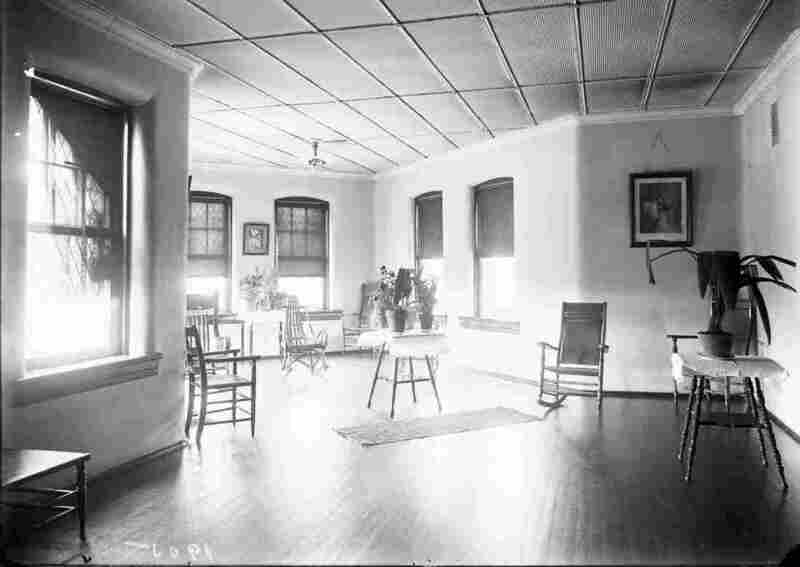 African-American patients were housed in two smaller buildings, without the same amenities and views. Women and men — white or black — were also separated. Still, 100 years before psychiatric drugs, everyone got the same treatment. 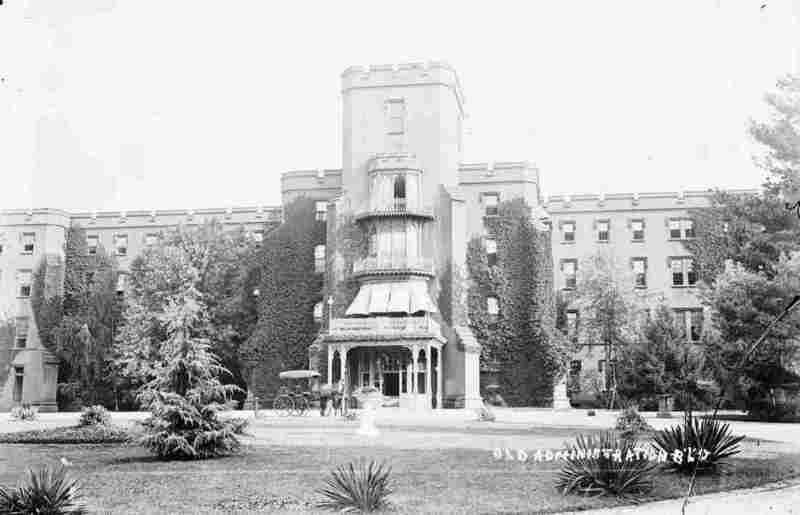 St. Elizabeths gave some mentally ill patients hydrotherapy — baths, showers and wraps. "There was the hot water to calm more manic patients," Leavitt says, "and the cold water to stimulate quieter patients that needed to get awake." Photos show patients lying wrapped like mummies in wet blankets. 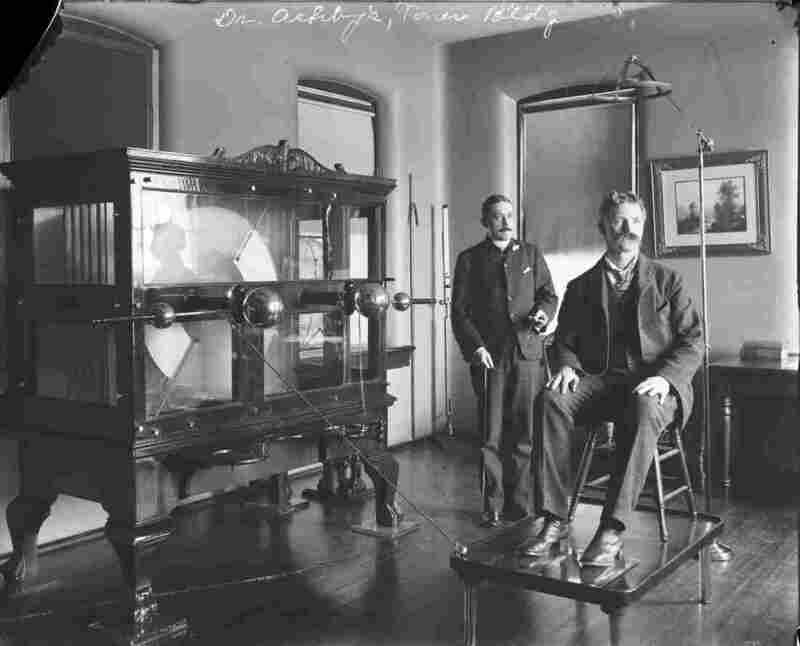 Another picture, from the 1920s, shows a man sitting at an electroshock machine, a lamplike device suspended over his head. A few lobotomies were performed at the hospital as well. "The idea was that it would calm the patient, which probably it did, but at what cost?" Leavitt says. 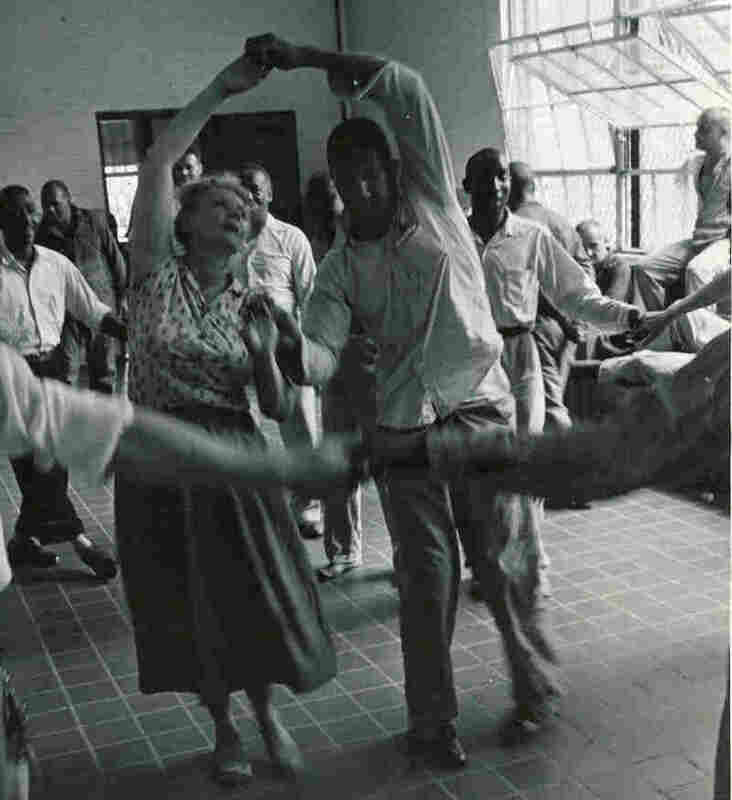 The historic photos reveal some happier moments, too — one from the 1960s shows dance therapist Marian Chace moving around a room with patients. 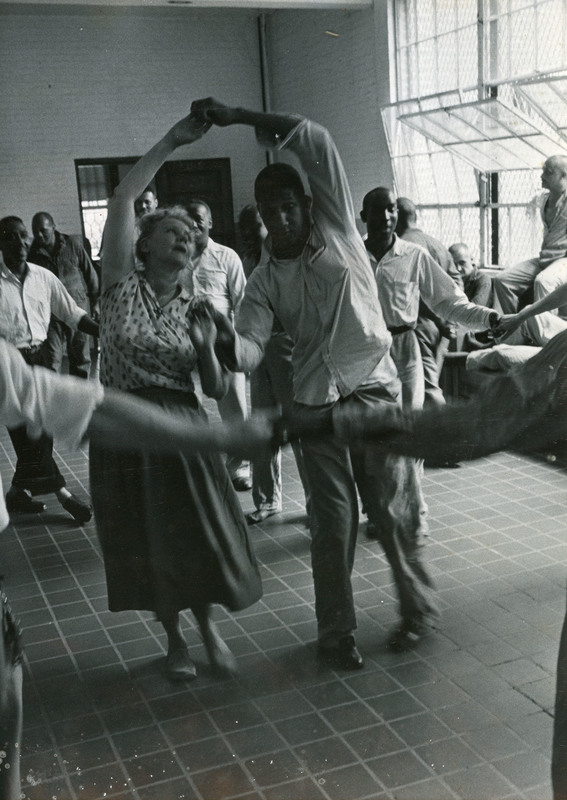 For many decades, Marian Chace led the dance therapy program at St. Elizabeths. The photo above was taken circa the 1960s. "She really believed that would help open up their minds, and help them come to peace with their day, with their existence — with everything," Leavitt says. "I think that's a really beautiful image." 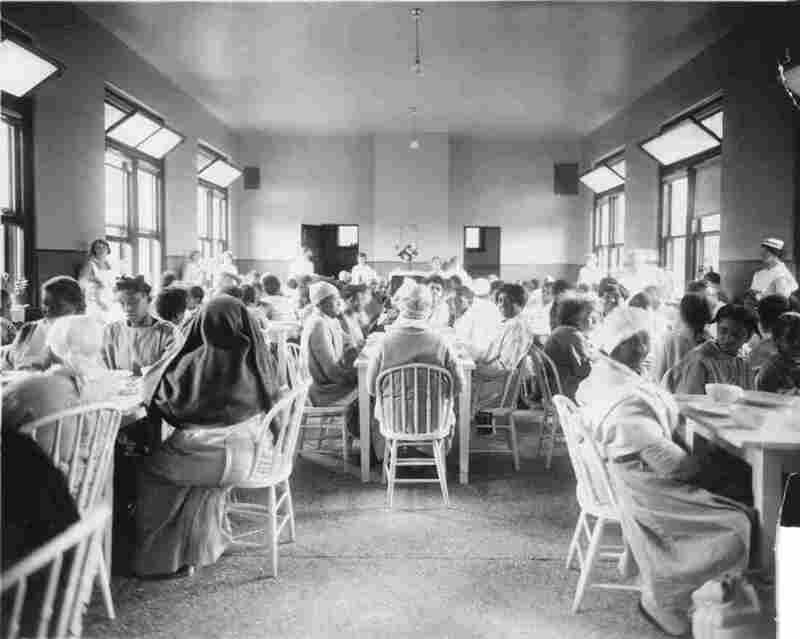 But, over decades, the sun-filled, airy rooms of St. Elizabeths got overcrowded, understaffed and eventually emptied out. New psychiatric drug therapies, decreased federal and state support, and the de-institutionalization of many patients — which started with President John F. Kennedy and increased under Ronald Reagan — led to a societal shift toward community-based treatment. It's an approach that has helped some but left others struggling with their condition in homeless shelters, on the streets or in jails. There are still 300 patients at St. Elizabeths, but 75 buildings stand idle. The graceful St. Elizabeths campus will eventually house condos and the Department of Homeland Security. Still, Dix's dream of architecture as a path to healing lives on. "Some things cannot be cured," says Everson. "But I think humane treatment — I think, creative treatment — is where we should go as a community, as a nation and as a world."